Super Empower Athlete, Chris DeMarchi, has been wreaking havoc on both the Pro 1-2 field and 35+ field this spring season. With a long list of wins over domestic pros, Chris earns the top honors of the Empower Coaching Systems Athlete of the Month for May. Congrats Chris! We had a chance to ask our in-house powerhouse a couple of questions. visualization of winning the upcoming race. 2. What do you like best about your Empower Coaching Systems Coach? includes diet, nutrition, recovery, and positive thinking. the rest of the way just to rub it in. forward to seeing on it the most and what do you look forward to the least? progresses me forward in my training. 5. Any advice for a new rider beginning with Empower Coaching Systems? 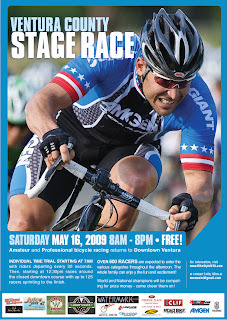 Empower Coaching's Chris Demarchi lookin' lean and mean on the upcoming Ventura Stage Race poster! Come join us for a spectacular stage race event in Southern California the weekend of May 15-17. SIX Empower athletes will be competing for the top spots in 4 different categories! Hard Day In the Saddle! 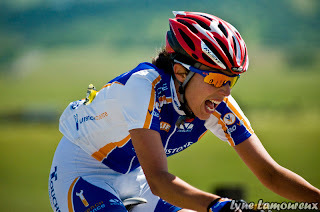 Kristina Seley of Touchstone Climbing got 4th place in the Women's Pro 1,2 race at Copperopolis Road Race in Northern California this past weekend. She has her suffer face on, as you can see. Her team mate was up in the break-away and got 2nd. Next up for Kristina, who has been with Empower Coaching for 4 years, is Sea Otter Circuit race this coming weekend. Best of luck, Kristina! Scott Stern WINS Fiesta Island Time Trial! 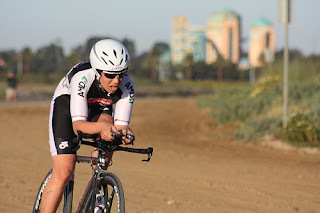 Empower Coaching's Scott Stern WINS the Fiesta Island Time Trial in San Diego in the Junior Men 15/16 Category! This is Scott's first TT win of his career. He is known for his quick and snappy kick at the end of a race, but now he is turning the TT gears over with the same speed. 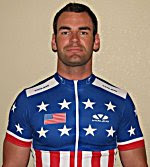 Scott has also been invited to attend USA Cycling's talent ID camp coming up this June. The future looks very bright for this young and dedicated star! 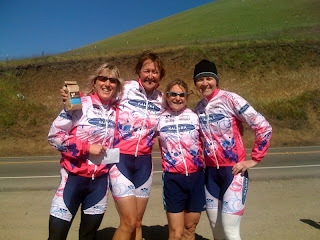 Empower Coaching's Sonia Ross, the current Masters National Road Champion, and her Kalyra teammates, smoked the 15.7 mile northern California Altamont Team Time Trail yesterday winning by a large margin over second place. Congrats Sonia and the gang! Empower Athlete, Jimmy Watkins, won the Southern Games International Sprint Tournament last weekend. This is Jimmy's first big win of the year and sets him on target for a stellar 2009 season. Great job Jimmy!